Lewis Ritson will be back in the ring before the end of the first quarter. The British lightweight champion suffered his maiden defeat in the paid code last October. 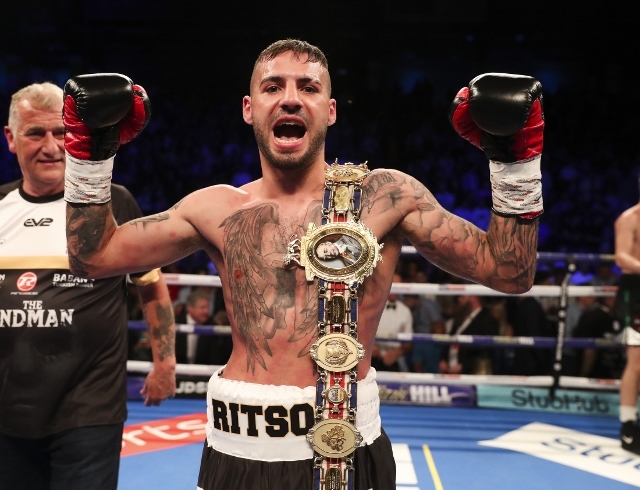 Ritson was outpointed by Francesco Patera of Belgium, exclusively live on Sky Sports, at the Metro Radio Arena in Newcastle when the pair clashed for the vacant European title. But the 25-year-old (17-1, 11KOs), who now holds the Lonsdale belt outright after making three consecutive defence against Joe Murray, Scott Cardle and Paul Hyland Jr. after winning it against Robbie Barrett back in October 2017, is set to return to the aforementioned North East venue on March 23. The British title will be on the line when ‘The Sandman’ faces Andy Townend, exclusively live on Sky Sports in the UK and DAZN Stateside. Townend, a former English and Commonwealth super-featherweight champion, has a record of 22-4 with 14 quick finishes. He was last in action last October when he outpointed Henry Janes. The fight has yet to be formally revealed by Matchroom, Ritson’s promoters, but it is set, according to the latest British Boxing Board of Control notices. Elsewhere, Josh Wale will face Brad Foster for the vacant British super-bantamweight title on March 8 at the Metrodome in Barnsley. At light-heavyweight, Callum Johnson has relinquished the Lonsdale belt in favour of a potential Stateside showdown against Seanie Monaghan. The BBBofC stewards have, as a result, ordered Johnson’s promotional stablemate Joshua Buatsi to fight Liam Conroy, the former English champion, for the vacant belt. Connor Parker and Corey Gibbs will fight on March 9 in an official eliminator for Robbie Davies Jr.’s British super-lightweight title in Walsall, on a card promoted by Errol Johnson, while Craig Evans withdrew from an official eliminator for the aforementioned Ritson’s lightweight crown against current Commonwealth king Joe Cordina. Anthony Cacace has pulled out of an official eliminator for Sam Bowen’s British super-featherweight title. He had been set to face Jordan McCorry for the right to face ‘The Bullet’ –– who defends the belt against Ronnie Clark on February 23 at the Morningside Arena in Leicester, exclusively live on BT Sport –– after it was thrown out to purse bids, but he has decided to go in another direction. And at bantamweight, Ukashir Farooq has been ordered to make a defence of his title against Kyle Williams. It’s been put out to purse bids and must happen by the end of May.